I love the treatment, the composition and the faint silhouettes. Wonderful image. WOW, love the mood, well framed. Very nice image, good air perspective! I can’t do better than to echo the comments already left. Love the mood and the silhouettes. Wonderful silhouettes, and you can really make up many different stories in this one! Great work! Terrific image. I don’t think anything else needs to be said! oh yeah, this is very nice!.. I love the mood, very poignant & beautiful. Impressive mood, I feel wet and warm at the same time. Bravo. 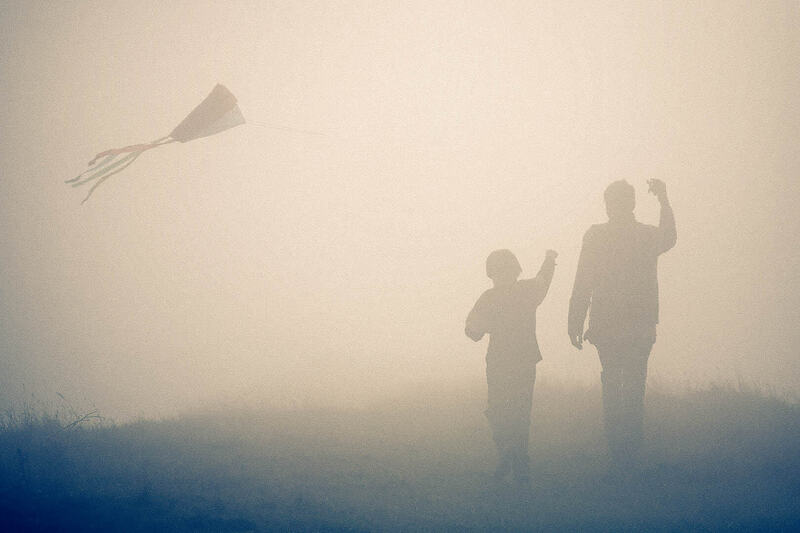 You took something that sounds impossible (flying a kite in fog) and turned it into something wonderful. Excellent composition and beautiful muted colors. Hi, I’m an admin for a group called The Great Photography, and we’d love to have this added to the group! …stunning shot! like it under all respects. compliments and istant fav! what an amazing photograph. it’s everything a photograph should be. A wonderful story. Very nice. I can hear the silence on this photo. Great!